Library faculty regularly host informal gatherings at the Murdock Library in Newberg. These are centered physically around the library fireplace, and intellectually around a topic of community interest. Assistant Professor of English and author of Shame the Stars, chosen as Texas' Great Read for 2018. "Worthy sifts through the shape and weight of expectations that press Christians into cultural molds rather than God’s image. By plumbing Scripture and critiquing the ten-billion-dollar-a-year self-improvement industry, Mock offers life-giving reminders that we are fearfully and wonderfully made." 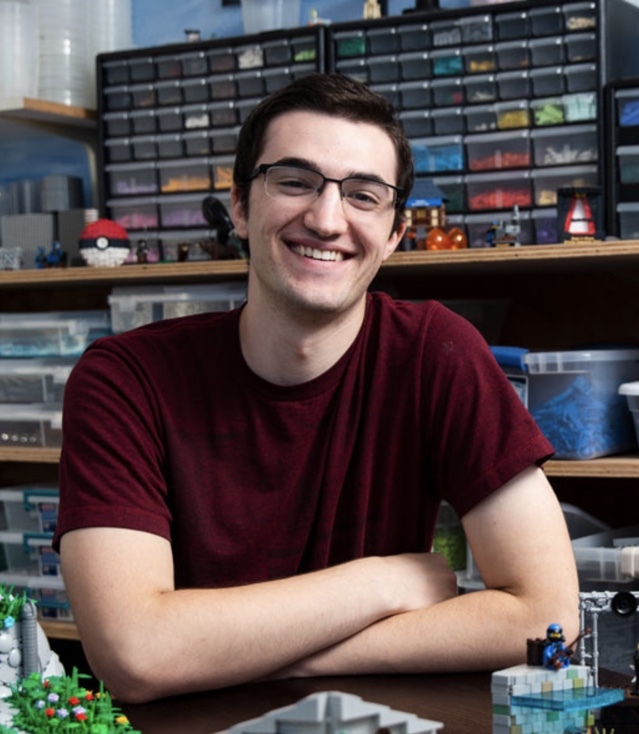 A sophomore engineering student at Fox, Grant is co-creator of the commercially-available LEGO pop-up book featuring scenes from the fairy tales Little Red Riding Hood and Jack and the Beanstalk. Read about his successful effort in a recent article in the George Fox Journal. Come hear Grant's story and ask questions in a relaxed atmospere. Coffee, tea and light snacks will be provided.